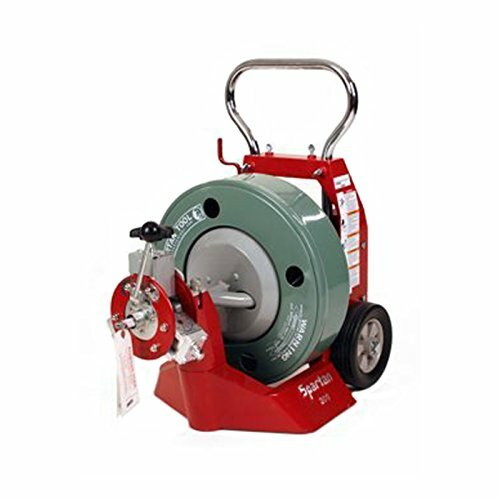 Sewer and drain pipe cleaning machine with heavy-duty power for 3 inch to 6 inch lines up to 200 feet in length. The machine of choice for heavy-duty jobs, cuts through roots easily and disassembles quickly for easy movement up and down stairs or into and out of trucks. Sewer and drain pipe cleaning machine with heavy-duty power for 3 inch to 6 inch lines up to 200 feet in length. The machine of choice for heavy-duty jobs, cuts through roots easily and disassembles quickly for easy movement up and down stairs or into and out of trucks. If you have any questions about this product by Spartan Tool, contact us by completing and submitting the form below. If you are looking for a specif part number, please include it with your message. GF Signet 3-2551-P0-41 The 2551 Magmeter Flow Sensor, Polypropylene Body, 316SS Electrodes, Display, Frequency/S3L Output, Use with 8900 or 9900, 0.5" to 4", 11"